How often do you lose a sale because a customer wants your product or service, but feels it’s out of their price range? Our fast and easy financing process allows you to sell more of your retail goods and services– all without hidden fees, costs, or hassles to your business. We approve a wide range of credit scores. That means more approvals for customers, and more sales for you. We can approve high loan amounts, helping you sell more services, create stronger cash flow, and increase earnings. Stop paying for enrollment and membership fees. Start growing your business. We transfer funds to your business within days, via direct deposit. That means no billing or collections headaches. We make it easy to grow your business. Our seamless, paperless process works with any mobile, tablet, or computer, can be completed right at your point-of-sale, and funds you quickly and directly. You’ll also have free technical and marketing support, plus a dedicated Relationship Manager always on-hand to provide expert guidance and help you maximize the potential of financing. It’s everything you need to help your business grow. Don’t miss out on another sale. 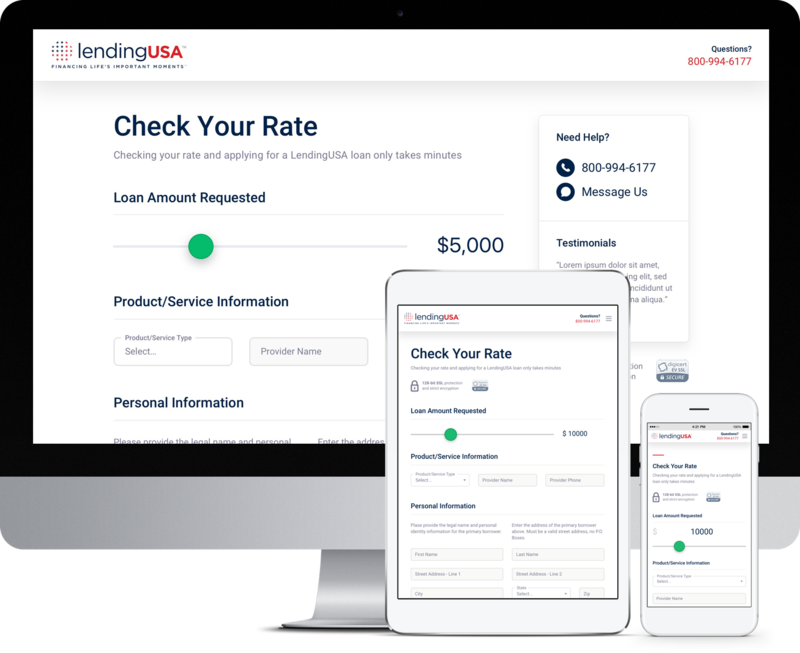 Schedule your demo today - and find out from the experts how financing from LendingUSA can help you grow your business.